As a serial entrepreneur and the president of Synaptive Medical, a company dedicated to developing technologies with an impact to change the standard of care in neurosurgery, Cameron has solid knowledge and expertise in understanding rules of the road for medtech-based entrepreneurship. In this lecture, Cameron shares insights on key strategic trends and changing dynamics in the medical devices industry. The lecture gives an overview on the basic skills and knowledge needed to build new medical ventures and develop novel medical device ideas from concept to reality. Cameron Piron is an industry-recognized leader and innovator in image-guided surgery. 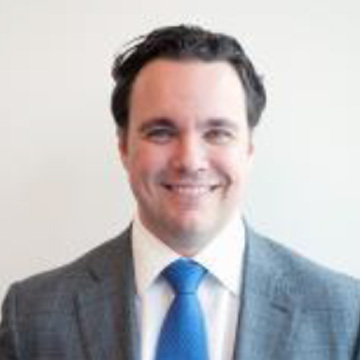 Prior to co-founding Synaptive Medical, Cameron was president and cofounder of Sentinelle Medical, a medical device company that developed and manufactured advanced MRI-based breast imaging technologies. Sentinelle grew to over 200 employees and over $20 million in revenues before being acquired by Hologic, Inc. in 2010. Cameron studied systems design engineering at the University of Waterloo, followed by a graduate degree at the University of Toronto in medical biophysics. His awards include the Ontario Premier’s Catalyst Award for Best Young Innovator in 2008; the University of Waterloo’s Alumni Achievement medal in 2009 for leading Sentinelle Medical in researching and manufacturing leading-edge MRI technologies that allow physicians to diagnose breast cancer and other medical conditions faster and more accurately; being named to Canada’s Top 40 Under 40™ list in 2009, which was established by Caldwell Partners and celebrates the achievements of young Canadians in the private, public and non-profit sectors; and being the first Canadian ever to win R&D Magazine’s Innovator of the Year award in 2008. In 2015, Cameron was named one of Fast Company’s Most Creative People. He chairs Synaptive’s Board of Directors and heads the company’s executive committee.